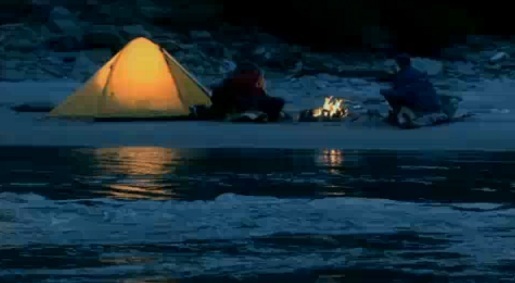 The Eveready Dolphin torch is put through its paces by a couple of hikers in this spot from Australia. To test the claim that the red tough waterproof torch not only floats but is thirty percent brighter, the guys throw it in a mountain stream. The Dolphin toughness test was developed at DDB Sydney, Australia, by creative director Matt Eastwood, art director Adam Rose, account managers Gareth Pask and Rachael Kimber, illustrator Josh Laws, and agency producer Honae MacNeill. Filming was shot by director Justin McMillan via AHT with producer Sam Levine. The Eveready Dolphin is currently the number one selling torch among Australian consumers, produced there since 1967.